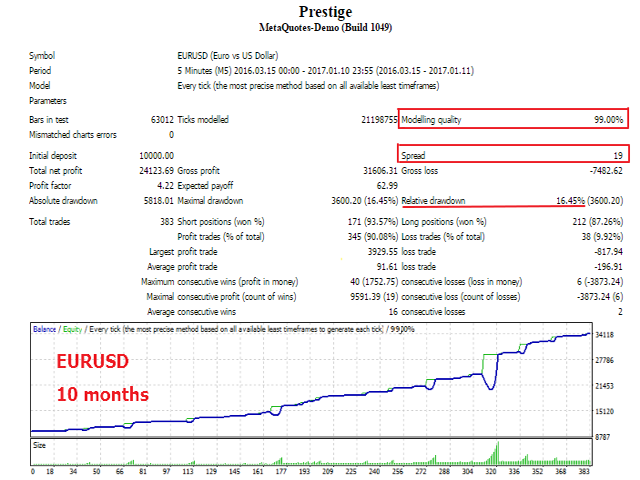 Prestige is a highly customizable trading robot for the MetaTrader 4. The EA is based on three popular indicators: RSI, CCI and Momentum. This trend-following robot makes deals only in the direction of the main trend. It also uses the trailing stop in trading, thus allowing to reduce the losses and to secure all gained profit on the account. Indicator - indicator to be used for opening positions (RSI, CCI, Momentum). Period - period of the indicator. Applied_price - applied price for the indicator calculation. 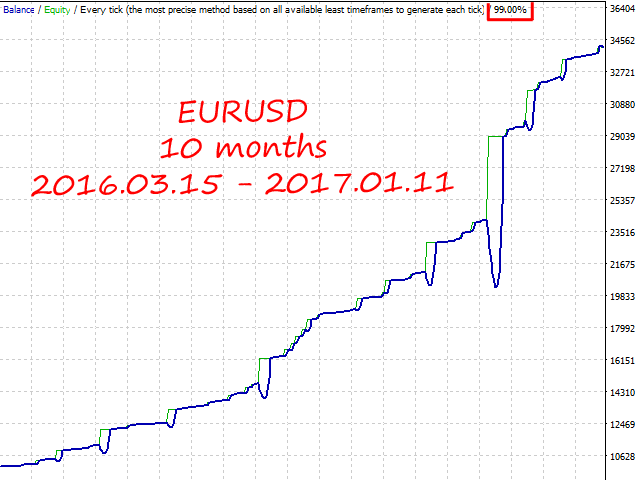 MM - money management, the parameter takes values: Risk or Lot. If set to Risk, the EA will automatically calculate the position volume. If set to Lot, the position volume will be fixed to the value specified in the lots variable. lots - position volume in lots. (Used when MM=Lot). TakeProfit - take profit in pips. Step - step between positions. Multiplier_lot - lot multiplier when at a loss. Trailing - if true - trailing enabled, false - disabled. Trailing stop works only for the first position. TrailingStop - trailing stop in pips. Currency pairs for trading – majors with minimal spread. Timeframe for trading — М1 - H1. Evgeny Belyaev, professional programmer and successful trader. Nice Integration between the scalping strategy and long-term trade.